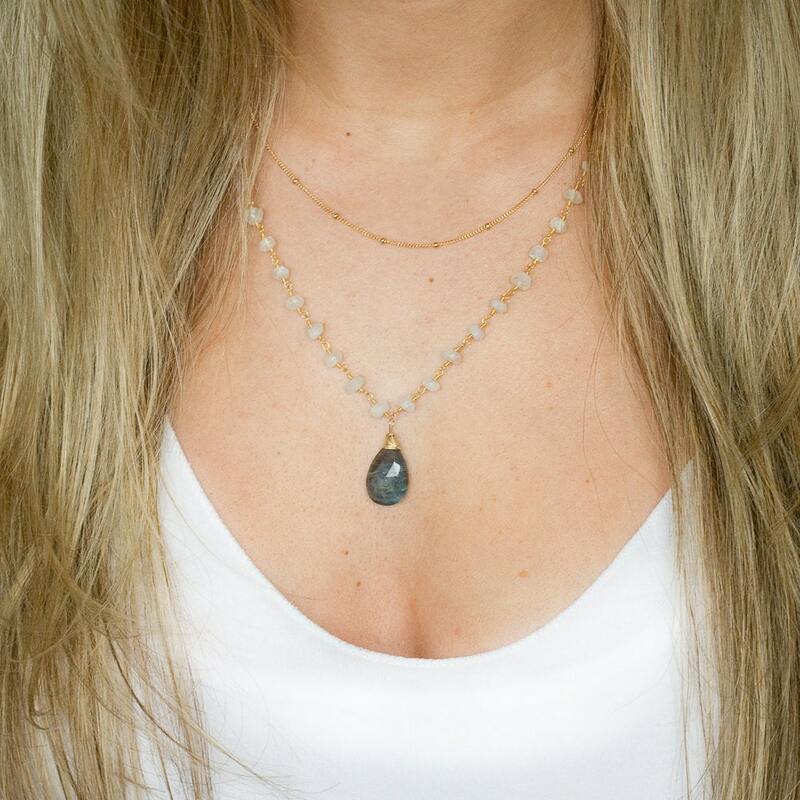 This gorgeous labradorite pendant necklace has a beautiful wire wrapped labradorite gemstone hung from a moonstone rosary chain for added texture. 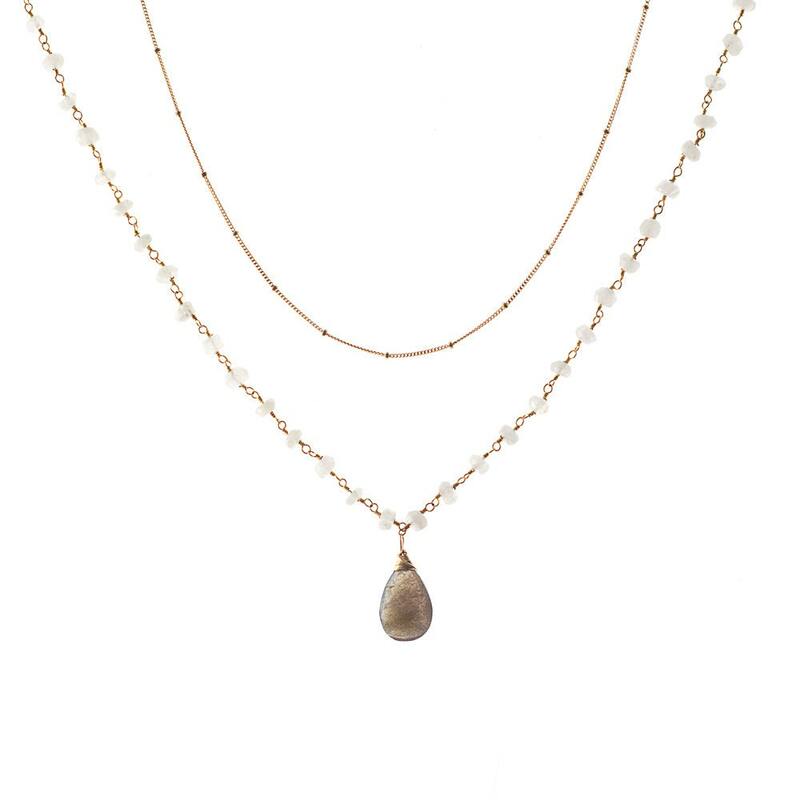 Light, dark, and metallic in one stunning necklace! » Select your length. 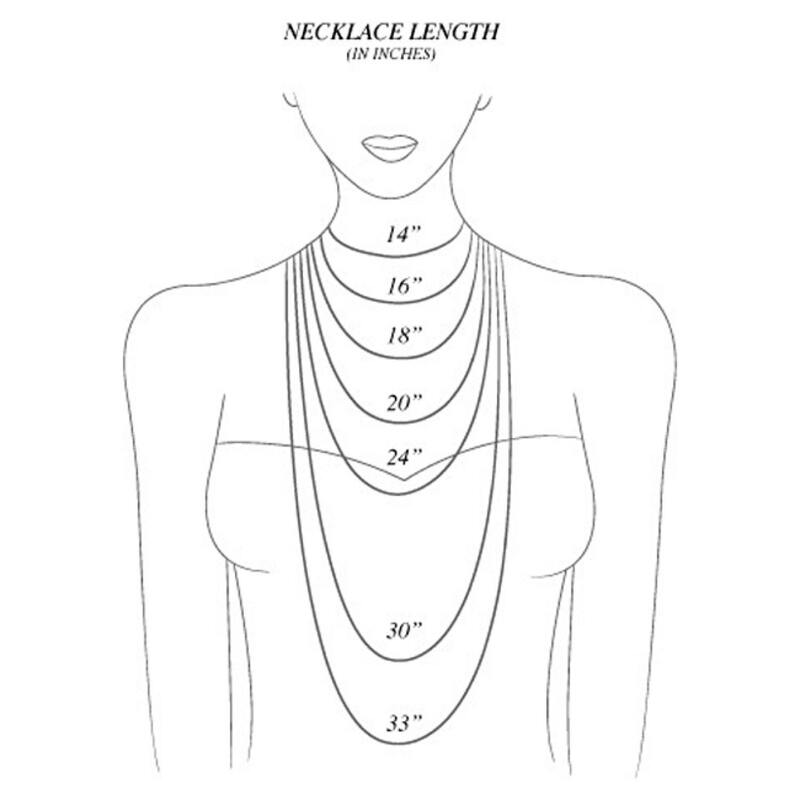 If you choose multiple necklaces, length refers to the shortest necklace, and the following necklaces will be staggered by two inches. Love these necklaces. They are made very well and so pretty. They go with everything. Great shipping time too. I will be ordering more from this shop soon. This necklace is absolutely beautiful! Just as pictured. I’ll be ordering more for gifts! I love this necklace. It's just as beautiful in person and comfortable to wear. It arrived quickly, too. I'll definitely order from LandonLacey again . This necklace was subtle and stunning. I plan on layering it with one other necklace for a wedding I'm in. The necklace looks and wears like quality material. Shipping was true to the sight, right in time. Definitely plan on shopping at Landon Lacey again!!!!! Love it, as always the necklace perfect. 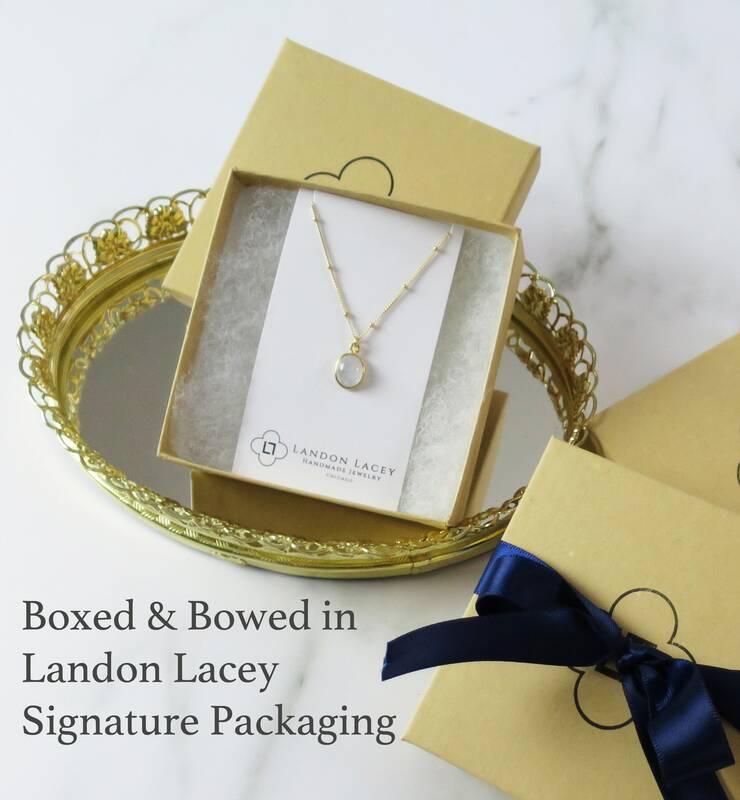 I will order again from Landon Lacey Jewelry.